I could, if only I could knit! He's very cute! He's great! What a cute little tail. That is so cute! 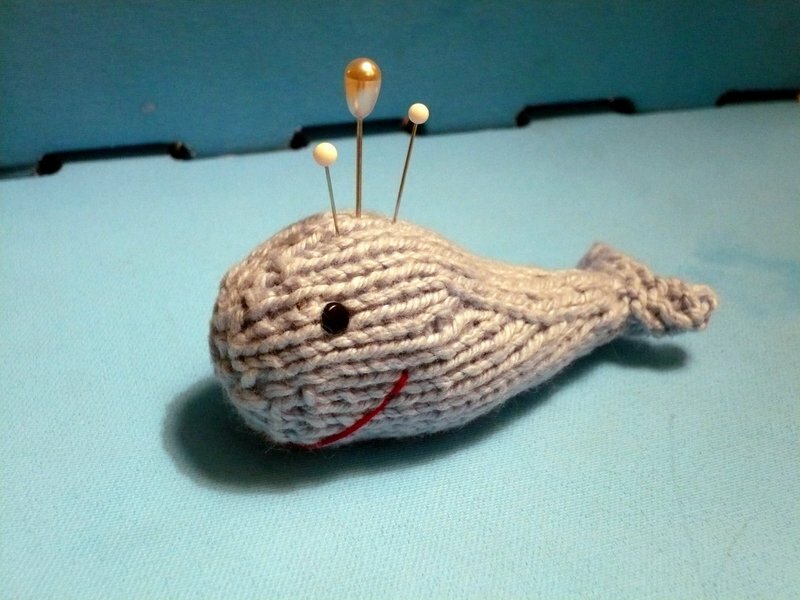 The kids would confiscate him and I would never get to use him as a pincushion!!! your pintail whale is adorable!